Comic Relief has said it had committed to allowing people to tell their own stories before the "white saviour" controversy erupted last month and has called the dispute a "hostile and polarising sideshow". Writing exclusively for Third Sector, Ruth Davison, Comic Relief’s executive director for impact and investment, said the charity agreed with many points that had been raised during the debate, but it had already made efforts to improve its presentation of beneficiaries. The row began in February, two weeks before the charity’s biennial telethon Red Nose Day event, when the Labour MP David Lammy accused the charity of "perpetuating an old idea from the colonial era" of "white saviours" by continuing to send white celebrities to film projects in Africa. 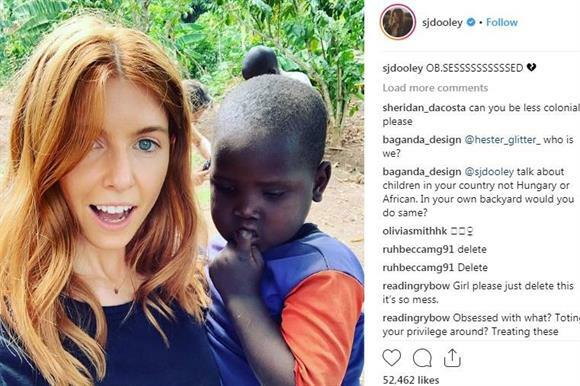 The Tottenham MP expressed concerns after the documentary film-maker Stacey Dooley published an image on Instagram of her visiting Comic Relief projects in Uganda. In her article for Third Sector, published today, Davison says the charity has always been a pioneer of storytelling and shining a light on underrepresented people and issues. But, she says, storytelling was an area "where we can go further and do better", and the charity’s chief executive Liz Warner had made a public commitment to do so last year. Davison says footage that had already been gathered and produced ready for Red Nose Day at the time of Lammy’s tweets reflected this new approach, featuring "far more people telling their own stories". "They are the focus, not us, as their funder, or the celebrity who interviews them," she says. She adds: "For this reason it was disappointing to see, even before our content was in the public domain, such a vital debate over representation in charity fundraising – with all the associated complexities of structural power inequalities, race and power dynamics – get overtaken by a hostile and polarising sideshow in relation to a single photograph shared by one individual on social media. "Comic Relief acknowledges and agrees with many of the points that have been raised by people who have been calling for change in the way we, and others in the sector, present our work. "Our commitment to making change came before this year’s media coverage and will – with the support of the public and our partners – continue well beyond it." The next step, she says, will be to work with more local film-makers to produce the charity’s content, and give people more agency in framing their own stories to reflect the ways the charity as a funder tried to give partners greater agency to design solutions to the problems they faced. The on-the-night total raised by this year’s Red Nose day was £63.5m, compared with end-of-night totals of £71m in 2017 and £78m in 2015. The total amount raised by the event has fallen every year from its peak of £108.4m in 2011. Davison says the charity will be moving away from its focus on Red Nose Day and its sister event Sport Relief to a more "digitally-ready" strategy, working through a wider range of channels to meet changing audience tastes. She says: "We hope all who support us will continue to come along with us on our journey. Change will continue to take place in the public eye, and we won’t always get it right, but we will remain focused on the positive impact we and our partners can make."